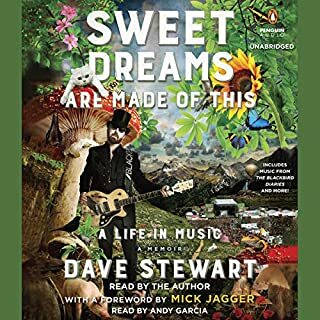 Dave Stewart's life has been a wild ride - one filled with music, constant reinvention, and the never-ending drive to create. 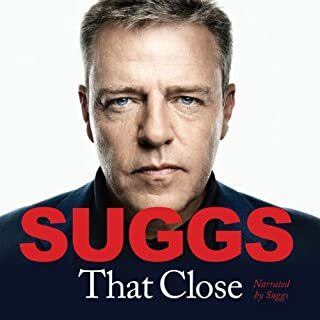 Growing up in industrial Northern England, he left home for the gritty London streets of the '70s, where he began collaborating and performing with various musicians, including a young waitress named Annie Lennox. 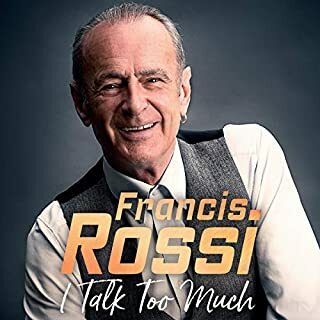 Much later, he became a Grumpy Old Man who appears on Countdown, hosts a hugely popular radio show on Planet Rock and performs a one-man show telling stories about his rather extraordinary life. That's where this book you comes in. Mr Wakeman is simply one of the great storytellers of our age - let's face it, he has some fabulous material. It seemed a shame that some of the funniest yarns should not be more widely known. So he accepted some cash and here we are. Curl up by the fire with a Grumpy Old Rockstar and your nearest and dearest. We defy you not to listen and laugh. 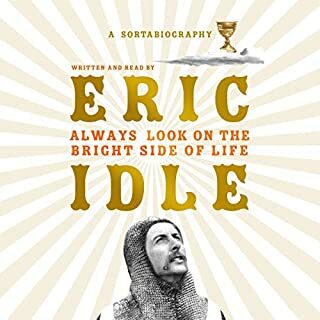 A great and funny listen, mostly in fairly short chapters that are ideal when driving to work. I find myself driving slower in order to listen a little longer. Rick narrates his life that could have gone so wrong like many other talents have but so far has come out on top. Long may it continue. 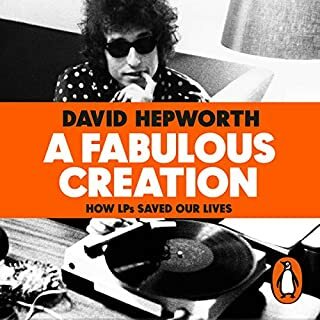 I am not a fan of his music but this book makes him a favourite author, let's hope for more. One of hte best books ive downloaded, made me crack a few belly laughs as well as some seriously interesting stoaries about ricks life ! Rick Wakeman is good value! You're always in for a great time when he shows up on radio and TV. 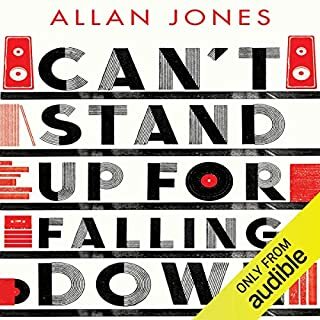 This was one of the most enjoyable author-read audiobooks I've heard in a long while. Sequel, please! 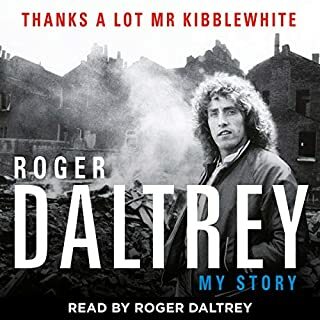 i couldn't put it down, listened while I was decorating made the job a pleasure. as he tickles those keys. Brilliant. Brilliant, a great book made better when read by Rick. 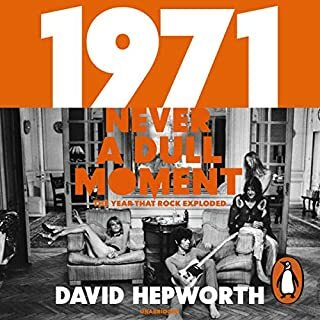 If you wonder where some of the ideas in Spinal Tap come from listen to or read this book. I like Rick Wakeman and I have enjoyed seeing him on occasion tell a funny story or two so when I had the chance to get his book read by himself I thought I'd enjoy it. 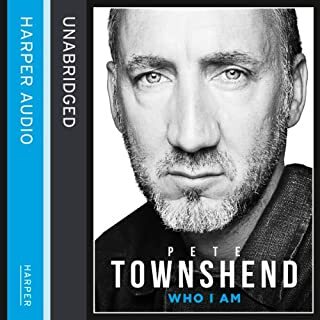 Sadly, apart from a couple of genuinely funny stories and a couple of interesting situations he describes getting into, the majority of it is fairly juvenile. Lots about drinking to excess and farting and one or two questionable stories that border on cringingly inappropriate. 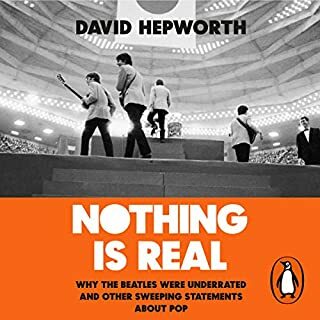 As I say in my title of this review - I so wanted to like it more than I was able to - maybe a second volume might have more substance. Little dramatic in delivery sometimes but enthusiasm was nice. 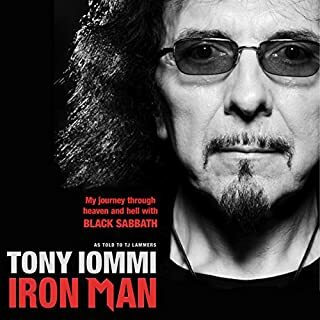 Would have liked tiny bit more detail about his career but perhaps that is another book. 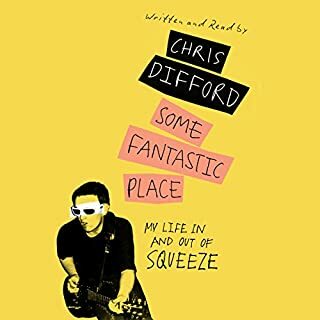 nice easy listen, very entertaining. was something I looked forward to being able to find time to listen to. 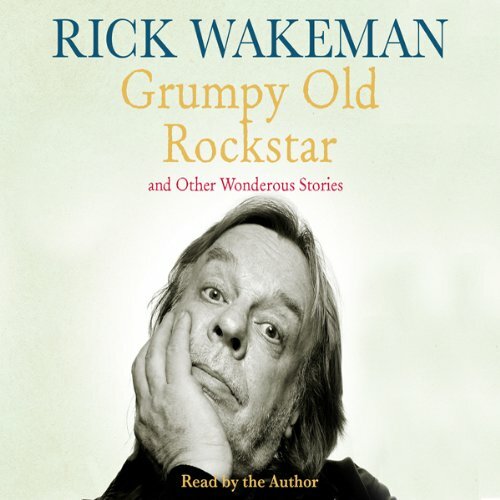 This Curmudgeon's favorite "Grumpy Old Rock Star"
Would you consider the audio edition of Grumpy Old Rockstar and Other Wonderous Stories to be better than the print version? Absolutely! Why would anyone NOT want to hear Rick's own voice reading the book rather than hearing some silly professional narrator or random VIH (Voice in Head) stumble through such a flavorful text? 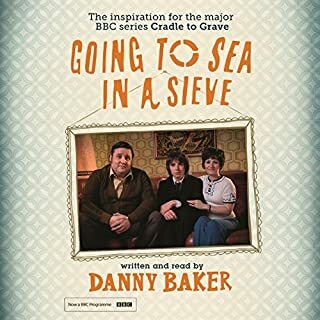 What does Rick Wakeman bring to the story that you wouldn’t experience if you just read the book? Didn't you read my answer to your first question?! Not really "laugh"-- more like "chortle." An occasional "guffaw." As the "Corner Office Curmudgeon," if not a "Grumpy Old Entrepreneur," I'm at least known as a "snarky Uncle Horace" to many a tech start-up founder and the VC community. And yet I found virtually NOTHING to complain about! Well, get off if my lawn anyway! I'm a proud, if a bit gruff child of the 70's and prog rockaholic myself, Rick Wakeman has always been an enigma who in his later years has been reborn as a radio/TV etc. celebrity and has ended up yes (no pun intended) reminding me of snarky Uncle Horace indeed. 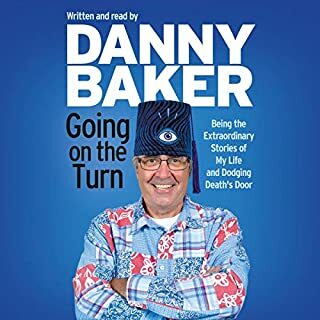 Settle in for a spider web of interconnected quirky stories delivered by a grand storyteller and legendary contrarian non-conformist who always seemed to be at the center of near mythical calamities and bizarre going-on associated with the excess of the time and place. I imagine many, many a late night pub outing (non-alcoholic, of course) could be filled with his banter. Should be good for three or four more books, at least. Can't wait for the audio version-- nothing else will do-- of the author reading the sequel. Until then I guess I'll just have to be satisfied to follow the Premier League and catch another ARW gig. But if that fat ol' geezer chick with the faded Strawbs T-shirt that was "sitting" in front of me at the last show is there again and spends the night on her feet dancing (more like shuffling) and blocking my view of the "stout" fellow wearing a cape playing keyboards, I'll have to thump her boney head and tell her to squeeze back into her seat. Same with her reed-thin middle-aged companion (who despite all logic, reason and conceivable imagination appeared to be her daughter with a permed, slightly less gray hairstyle) wearing a Union tour tee tied into a halter top. Sheesh. No respect for elderly, let alone the music. 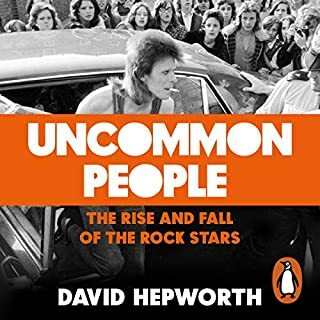 Kids these days..
Great read/listen, grew up in the 70s when the music business was a powerful industry. Rick Wakeman is not only a super talented musician but equally talented story teller. Highly Recommended! Read by Rick himself makes this a fantastic treat! Rick Wakeman delivers a collection of anecdotes from his amazing 50 year career that at times had me wiping tears from eyes but those were tears of laughter because these are some of the best unfiltered rock stories I've ever heard! Wakeman has no axe to grind here and his tales are full of folly,fondness and admiration for the many of the colorful characters he has encountered and how he has seen the world change from his days playing gigs behind the iron curtain to 100,000 seat arenas with Spinal Tap inspired stage sets. Love this, such a great telling of his experience. Such a great telling of his experiences. The production quality made it easy for me to hear. Rick Wakeman is an excellent story teller without a doubt. And that's all you'll get here, hence the subtitle. If you're looking for ANY biographical information about Rick Wakeman, any of the musicians he's worked with or any of the music he's made, look elsewhere. This is a guy recounting tales of thoughtless, narcissistic man-children on tour. Many of the stories I find unbelievable. And when most of the author's life has been soaked in alcohol to an extreme level, how can you believe him? How credible is his memory? Great reader, tedious stories - most of which aren't even that "wild." Great fun form the golden age of rock and roll. Rick's narration really brings these stories to life.I am so glad that he did not use a professional narrator, it would have ruined the stories and lost half of the fun. If you like rock and roll and especially if you are a yes fan this is a must listen. Quite enjoyable this one was, and an entertaining presentation in the reading by Mr Wakeman himself. I wish there would be another installment on Audible by Wakeman at some point. Wasn't a Rick Wakeman fan, until now! Absolutely. This is one of the funniest books I have ever "read". Rick's life and bizarre experiences are beyond belief. What a life! And his storytelling style is spot on for the material. Probably smuggling Soviet captains uniforms out of Russia. This is a book that anyone would enjoy. Even if you aren't a Wakeman fan, even if you don't like Yes, or prog rock, you will love the craziness of a life beyond anything you could imagine. Booze, money and a Keith Moon-like personality make for some interesting moments. 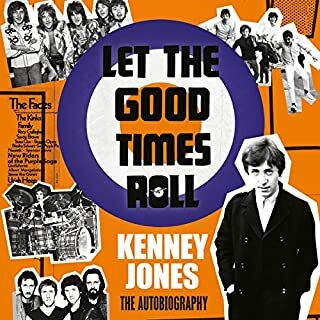 And yes, Keith Moon does thrash a restaurant in this book. Entertaining vignettes from a charmed life. If you?? ?ve listened to books by Rick Wakeman before, how does this one compare? Which character ??? as performed by Rick Wakeman ??? was your favorite? Wakeman does a fine job narrating bringing his autobiographical stories to life. 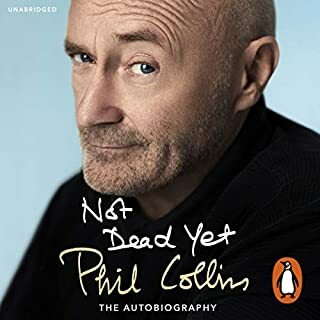 Some insights into the Yes years but mostly a series of short stories about his career. Fun stories from another era.